The second Celtic Connections Conference will take place in Minneapolis, Minnesota in a little over five weeks time. Previously held in 2014 in Massachusetts, the conference is co-hosted by two of the biggest Irish genealogy societies in the United States - The Irish Genealogical Society International (IGSI) and The Irish Ancestral Research Association (TIARA). Spread across two days, 5 - 6 August, the conference will see some of the most well known names in Irish and Scottish genealogy give talks; John Grenham, Brian Donovan, Dr. Bruce Durie and William Roulston, to name just a few. The theme of the conference is 'Celtic Roots Across America' and there will be more than 20 lectures and presentation across the two days. The event is being held in the DoubleTree by Hilton Hotel in the St. Louis Park area to the west of downtown (see map below). Registration for the conference closes this Friday (1 July) Thursday 14 July. You can find out all the necessary information about the conference on the official website. In November 1817, officials from the British Colonial Office began to organize for hundreds of families to emigrate from Counties Carlow and Wexford to British North America. The families were to travel to Quebec in Spring 1818. Two lists were compiled, one Roman Catholics and the other Protestant, and they provide the head of household names and the number of family members for 710 Protestant and 281 Catholic families. The lists survive in the papers of the Colonial Department and Colonial Office, CO 384 at the National Archives in England. These papers have been digitized and are available to view in the database Canada, Immigration and Settlement Correspondence and Lists, 1817-1896 on Ancestry. They have been indexed, but they are part of thousands of other folios that comprise the collection. The relevant papers can be browsed by selecting Canada, Immigration and Settlement Correspondence and Lists, 1817-1896 → Year Range 1871-1851 → (Volume 001) North America Settlers, 1817 → image 182 (Protestant list) / image 192 (Roman Catholic list). Transcriptions of these lists are available to view elsewhere online. The Ship List has transcribed them and also provide a small amount of analysis to help researchers. It is important to remember that these lists provide information about families that intended to emigrate. They may never have actually emigrated or other families could have also travelled. United Kingdom, War and Colonial Department and Colonial Office, Emigration Original Correspondence 1817–1857 and 1872–1896, CO 384/1, p. 188, A Release of Roman Catholic families preparing to emigrate from the counties of Carlow and Wexford in the insuing Spring [New] Ross 29th November 1817; digital image, "Canada, Immigration and Settlement Correspondence and Lists, 1817-1896," (http://www.ancestry.com), Ancestry, accessed 18 June 2016. United Kingdom, War and Colonial Department and Colonial Office, Emigration Original Correspondence 1817–1857 and 1872–1896, CO 384/1, p. 178, A Release of Protestant families preparing to emigrate from the counties of Carlow and Wexford in the insuing Spring [New] Ross 29th November 1817; digital image, "Canada, Immigration and Settlement Correspondence and Lists, 1817-1896," (http://www.ancestry.com), Ancestry, accessed 18 June 2016. One of the best radio documentary series is the simply but aptly titled Documentary on One on RTE Radio 1. A full back catalog of hundreds of hours is available to listen to on the RTE website. Over the years, many documentaries have focused on migration from Ireland to North America and other topics that will be of great interest to genealogists. I have compiled a list below of such titles. Enjoy. The McGraths (2000) - McGrath family reunion in Lanesborough, County Fermanagh. Members of the family first emigrated to the United States in 1827. My Dear Cousin (2012) - Letters sent between two cousins in Ireland and the United States between 1917 and 1971. The Cons (2009) - The annual visit of the Smith family from America to County Cavan. The Anaconda Road Massacre (2015) - The murder of Irish immigrant Thomas Manning in Butte, Montana 1916. 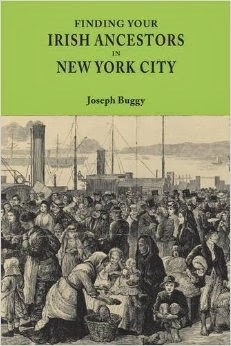 Includes back story on Irish immigration to the town. Kenmare Street (2012) - The story of Tim Sullivan, the son of two assisted emigrants from the Lansdowne Estate in County Kerry to New York City's Five Points. The Newfoundland Connection (2003) - The links between south east Ireland and Newfoundland. Strangers in Ireland (1985) - The Huguenots who settled in Ireland. Battle of Carrickshock (1983) - Includes the history of the 1823 Tithe Composition Act, Tithe Applotment Books, and tithe defaulters. uses DNA and documents to see if he is related to the last man hanged in Wicklow jail. Lost Children: Children in Irish Workhouses (1982) - The story of children in Irish workhouses in the 19th century. Bound By Regulations (1995) - The history of the hiring fair, which resulted in internal migration of agricultural laborers within Ireland.